In this March 15, 2006, file photo, a cashier rings up a customer at a Sears store in San Bruno, California. Sears Holdings plans to file for bankruptcy protection early morning Monday, people familiar with the situation tell CNBC. Sears will aim stay in operations through the holidays, during which it will seek a buyer. Sears Holdings plans to file for bankruptcy protection after midnight in the East Coast, culminating the collapse of what was once America's largest retailer, people familiar with the situation tell CNBC. As part of the bankruptcy plan, Sears will immediately close roughly 150 of its stores, people familiar with the matter have said. It has approximately 700 stores, one of the people said. It is unclear how the closures would impact Sears' workers, which totaled roughly 90,000 in February 2018. Sears will aim to stay in operations through the holidays, during which it will seek a buyer. That buyer could include its CEO, Eddie Lampert, or others that wish to make a higher bid. The retailer has secured roughly $500 million to support its holiday operations, the people said. As of Sunday evening, negotiations were ongoing, two of the people said. The people, who requested anonymity because the information is confidential, cautioned no plan is definite until the retailer formally submits its bankruptcy paperwork. Sears did not immediately respond to comment. 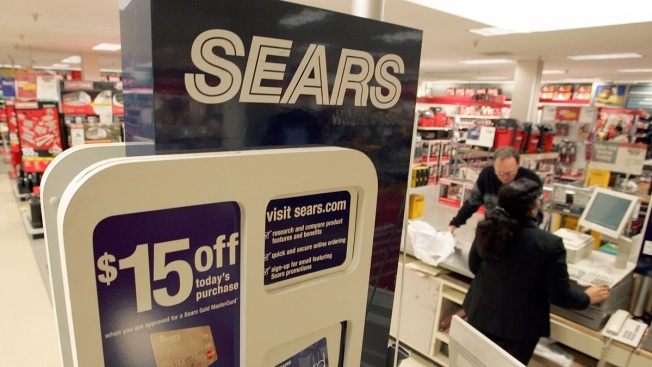 Sears has a $134 million debt payment due Monday it will not meet. The retailer's last profitable year was in 2010. It rang up less than $17 billion in sales in fiscal 2017, half of the roughly $40 billion in revenue it brought in five years earlier, according to FactSet. Sears wasn't immediately available for comment. A 'Kavanaugh bump' is boosting GOP Senate candidates. But Trump is a different story.